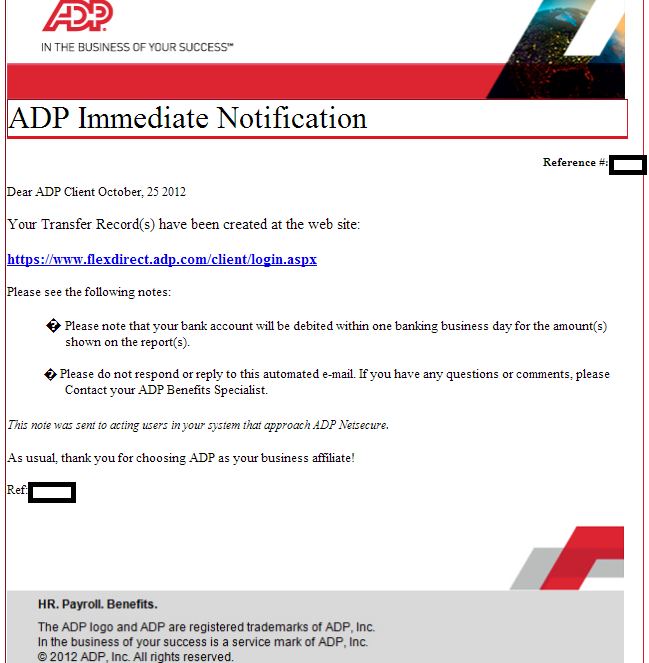 Newsflash, the cybercriminals behind the recently profiled malicious campaign impersonating Bank of America, launched yet another massive spam campaign, this time targeting ADP customers. Upon clicking on the link found in the malicious email, users are exposed to the client-side exploits served by the latest version of the Black Hole Exploit Kit. We’ve already seen the same name servers used in the recently profiled “BofA ‘Online Banking Passcode Reset’ themed emails serve client-side exploits and malware” malicious campaign. Clearly, the cybercriminal or gang of cybercriminals behind the campaign continue rotating the impersonated brands, next to using the same malicious infrastructure to achieve their objectives. Dancho Danchev Are you form BG ? Yes, my nationality is Bulgarian.